Today we bring more news from the celebrity bankruptcy front – another star has gone belly up – and we'll look at what happened, how they got into dire straits and how this applies to our own lives. 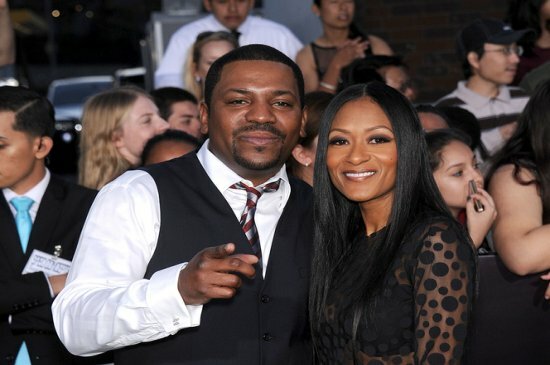 Film and TV star Mekhi Phifer filed for Chapter 7 protection on Los Angeles court in late April and his filing revealed that he has nothing much to show for a nearly 20 year career. Phifer got his start in film in 1995 with The Tuskegee Airmen and went on to star in Soul Food, 8 Mile, Dawn of the Dead and the recent mega-smash Divergent. He also worked in TV, most recently on House of Lies as Dre Collins and, his most famous role, on ER as Dr. Gregory Pratt. Phifer has also had smaller roles in Torchwood, Lie to Me and Curb Your Enthusiasm. No doubt Phifer's six year stint on ER paid well but, as with many celebrities, his income has not stood the test of time and his expenses have. Phifer has more than $1.3 million in debts listed in his bankruptcy petition. Roughly $50,000 is owed to his accountant and attorneys, but the bulk of his debts are owed to the California State Franchise Board (their tax authority) and the IRS for back taxes. Some of these look to be dischargeable in bankruptcy, but not all will be. The actor is married to NBC Universal executive Reshelet Barnes and has two sons (ages six and 14) from former relationships with Malinda Williams and Oni Souratha. He's paying a little more than $3,300 per month in total child support and this is a big problem because the actor is currently only netting about $2,800 per month. His spouse is pulling in $9k a month but only netting about half of that. The petition also shows that Phifer and his wife have expenses of more than $11,000 per month, which exceeds their income by nearly five grand. The Chapter 7 information shows that he did own a house but sold it in a short sale back in 2010, which indicates his money troubles have been brewing for years. Phifer and Barnes are living in a two bedroom apartment that's costing them $4,350 per month, more than half of their monthly income and way more than the 50/30/20 approach to budgeting recommends. So what happened with Phifer's finances? The same thing that happens to many clients we see in our offices. He was earning a steady wage and based his expenditures on that – like his mortgage, child support and lifestyle. This happens to people in all walks of life. It's understandable. When your income stream changes, as his did, because you lose a job or have your hours cut back, expenses that were reasonable on a higher income are no longer affordable. What's also a challenge in Phifer's case, and for many debtors, is that his child support obligations are far too high for his current income. No type of bankruptcy will allow you to discharge back child support or alimony or to reduce your monthly obligations. If you are overwhelmed by your support obligations, it's wise to go back to family court and ask for some relief. If you've got back bills piling up, have unsecured debt you can't manage and just aren't earning enough to pay back what you owe, bankruptcy may be the best option to get you the debt relief you need. Contact the law offices of John T Orcutt for a free consultation to find out how you can get a financial fresh start.